Many states are passing laws to legalize marijuana for medical uses. Sometimes diabetics use this to treat diabetes related complications like pain from neuropathy. 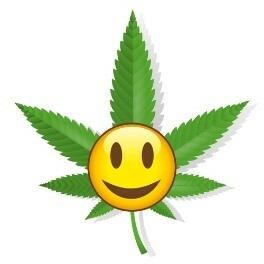 But beware – we all know marijuana increases your cravings (gives the munchies) and it usually is toward sweets…. This is because marijuana can temporarily lower your blood sugar. Please check your blood sugar before you start eating. After all, pain can make your blood sugars too high. You don’t know if you have low or high blood sugar. Be careful of the snacks you consume. You will probably be craving sweets or salty snacks like popcorn or potato chips. Limited portions is important. Remember it takes 20 minutes for your stomach to communicate with your brain concerning feeling full. You should not be continuously eating for 20 minutes. If you are on insulin, you will need to take additional insulin to cover your snacks. This will enable your body to use the carbohydrates. If you don’t take extra insulin, you may continue to crave sweets. If you want to contact me with more questions, email me at Julie@kidsatriskfordiabetes.com. When you are pregnant, being diagnosed with gestational diabetes is the last thing you want to hear. You are given a crash course on how to manage your blood sugar with diet and exercise. You are so stressed out, you probably don’t remember one tenth of what was said. Your stress continues as you try to “manage” your blood sugar by testing multiple times each day. You feel like your body has betrayed you. All you want to do is have a healthy baby. I know what you’re going through. How Does Gestational Diabetes Affect You and Your Baby? At about 12 weeks gestation, your baby starts growing rapidly. This requires increasing amounts of energy, and insulin requirements increase accordingly. Around week 24, your body’s insulin production cannot keep up with your baby’s growth. Typically, the fasting blood test for gestational diabetes happens between weeks 24-28. The ACOG is allowing your blood sugars to increase enough during the day so that your body can not recover through the night. At that time a random blood sugar test over 200 is a positive result for gestational diabetes. 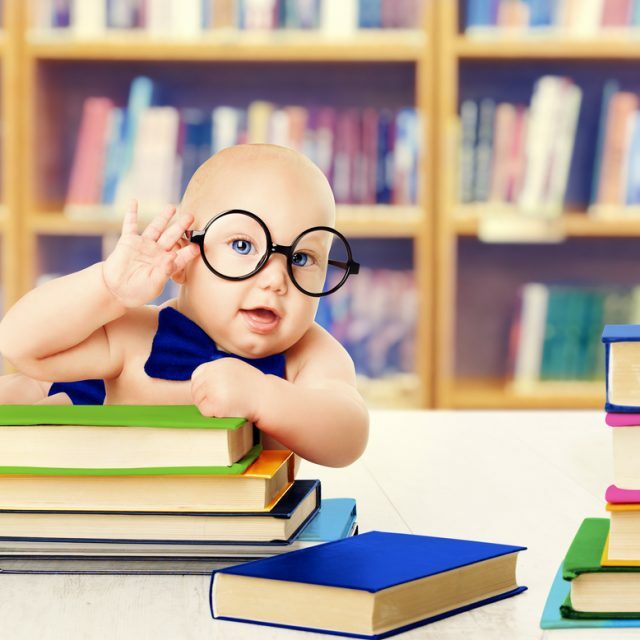 Your baby continues to grow until about 36 weeks gestation. At delivery, the hormonal effects of the pregnancy disappear and the demand for insulin drops dramatically. Postpartum, your body’s requirement for insulin can go below normal. Many women are placed on IV insulin during labor and they need to be monitored carefully during postpartum. Because your baby has developed in a blood supply rich in sugar, your baby’s pancreas will also go through an adjustment after delivery. You will see the nursing staff taking blood samples from your baby. Don’t get excited. They will monitor your baby’s blood sugar as needed to keep them safe. 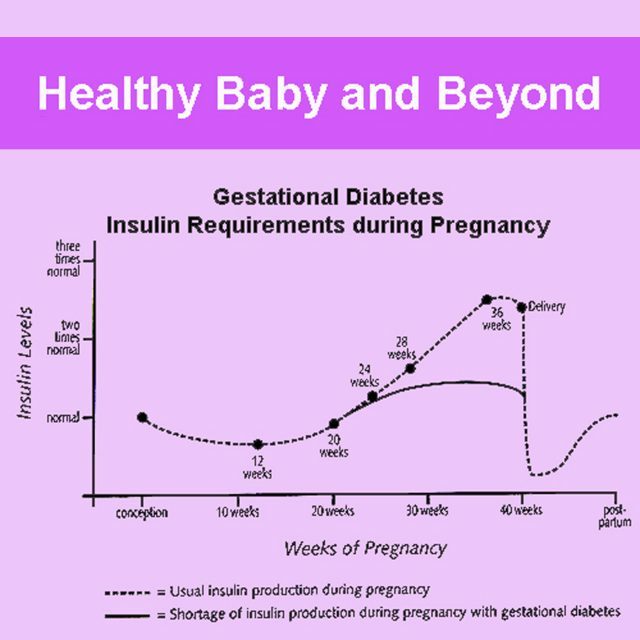 Since insulin requirements shift dramatically during pregnancy, true diabetics need to be monitored carefully for adjustments in their medications. Type 1 diabetics need to be under the care of an endocrinologist throughout their pregnancy. Type 2 diabetes should expect to be placed on insulin during pregnancy. They should also expect to have weekly insulin adjustments. To have a successful pregnancy without complications, all diabetics need to have their blood sugars under good control for six months before conception. The success of their ability to control their blood sugar is often determined by an A1C test. If you need support in controlling your blood sugars before pregnancy, consider my 1:1 phone consultation program. For a free evaluation please schedule a FREE call with me. Wishing you a happy pregnancy and a healthy baby! P.S. Remember to get my list to evaluate your risk for gestational diabetes. Gestational diabetes can be frightening. Typically, women get tested between 24-28 weeks gestation. 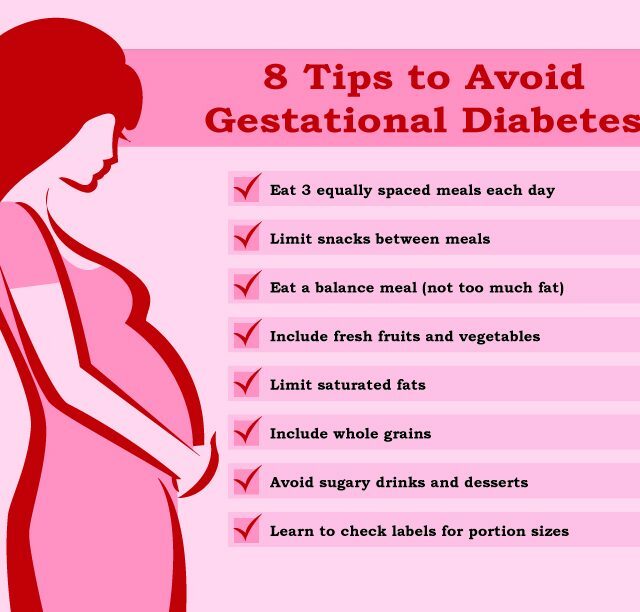 You can avoid gestational diabetes by knowing your risks and taking action steps to avoid this problems. and certain Native American tribes. High triglycerides or a prescription to control triglycerides. 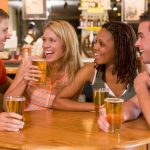 The American Diabetes Association has proven through the Diabetes Prevention Program (DPP) that lifestyle changes can prevent or delay the diagnoses of diabetes. It is believed that gestational diabetes can be prevented through lifestyle changes. You need to make changes early in pregnancy because gestational diabetes is controlled by pregnancy hormones. As your pregnancy develops, it will become increasing difficult to control your blood sugar. Learning how eat for your body’s needs is essential. Limit snack between meals. (once you start following the gestational meal plan you will have nutritionally balanced snacks between meals and one at bed time. Making lifestyle changes is very difficult. It is said that it takes 3 months to change a habit. My 30 day program is a good first step to supporting you to make sustainable changes. Consider signing up for my program “Healthy Baby from Preconception to Birth and Beyond”. Or, click here to get my FREE list of 11 early signs of gestational diabetes. Together we can make a difference in your future. There are stages you go through with any change in your life. This refers to the stages of motivation. Pre-contemplation, contemplation, preparation, action, maintenance, and then falling off the wagon. Think of how many times you have started a diet, maybe been successful losing weight, and then falling back into old habits. 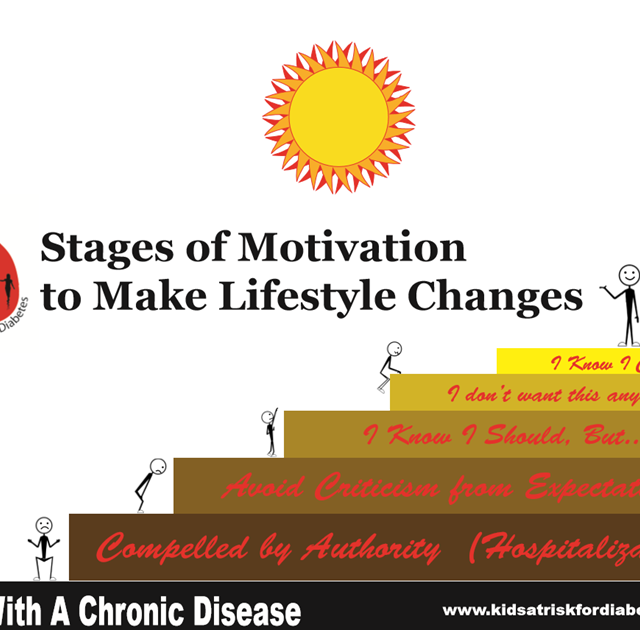 There are many stages of motivation for lifestyle changes. Many times we do really well, and we backslide. Then we may find the motivation to improve our lives again. And probably backslide again. We can’t teach children the same way we teach adults. I believe if we can teach them healthy lifestyles as children, it will carry over into adulthood. But what motivates you to make changes? That is a hard question that only you can answer. A good coach can give suggestions but only you know what works for you. Communication is key. You have to work with someone you trust and be willing to communicate with them. The first stage is to be educated enough to know what to do. Most diabetes educators try to educate you on the problems high blood sugars cause in your body. They may focus on the complications high blood sugars can cause, like heart attacks and blindness and lower limb amputations. But many people get overwhelmed with everything involved with diabetes management and just give up. We can never give up on our kids! I ask you – what will it take for you to seriously make life changes? A motivation that says: I don’t care what it takes, I won’t put up with this anymore. 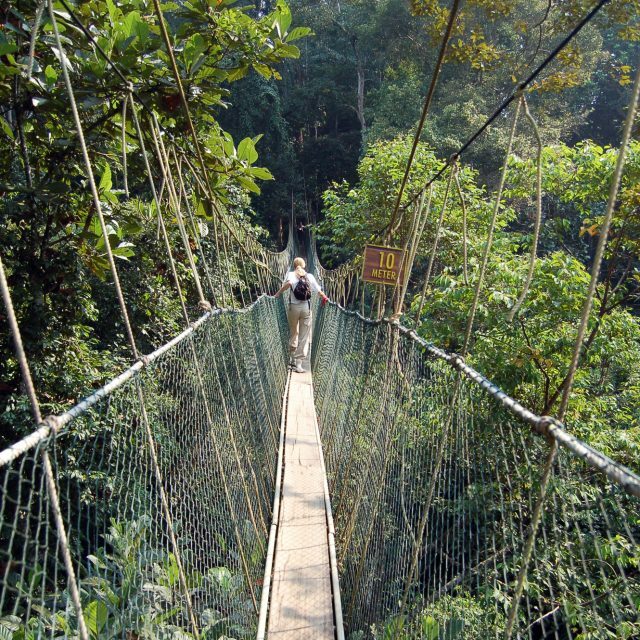 I will take charge of life…. quit living a life of default, and do what is best for my family! The choice is yours. But your success will be greater with a life coach to keep you on target. 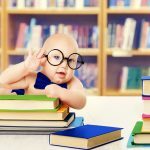 If you have diabetes or want to avoid your kids from getting diabetes, I have a 30 day virtual course you might be interested in! Contact me for more details at Julie@kidsatriskfordiabetes.com or schedule a phone consultation with me. Children need carbohydrates for proper brain development. We should not be placing our kids on a low carbohydrate diet for weight control. Children need a balanced diet for growth and proper brain development. Much information on the internet today states that if you have high blood sugars, you should switch to a low carbohydrate diet. There is a ton of information about low carb diets. You could get the impression that this is a good way to control blood sugars. But in children, low carbohydrate diets can be harmful to their brain development. Blood Sugar Is So Confusing! I once had a lady come for consulting, complaining of unknown sources of blood sugar. She stated she had checked her blood sugar before eating her dinner. Then she ate a steak dinner with NO carbs. (She was very careful, no dinner roll, no potato, etc.) Then after dinner she checked her blood sugar again and it was much higher. She was so confused. Have you ever gone to bed at night with one meter reading and woke up the next morning with higher blood sugars? I have had parents believing their child was eating during the night causing this rise in blood sugar. Poor kids were begging for my help! The fact is, when you don’t eat what your body needs, your body will produce it. Your liver is a large reservoir for energy. When you don’t eat carbs and your body needs quick energy, your liver will release it. This causes your glucometer to read higher than expected. Your brain needs carbohydrates to function properly. The adult brain needs about 100 grams of carbohydrates every day for proper brain functioning. Children need 130 grams of carbohydrates every day just for proper brain growth and development. Imagine your children having a hard time concentrating in school because they are not getting the quick energy they need. We know it is easy for kids to get a sugar buzz. But there are other sources of carbohydrates they need like fresh fruit, yogurt, cereal, granola, whole wheat bread, starchy vegetables like corn and peas, plus many more. Low carbohydrate diets are not the answer to prevent diabetes. In fact, many people turn to high protein diets which are usually high in fat (aka loaded with calories). They gain weigh causing insulin resistance. It really is about total calories. Living a balanced life is key, particularly in children. Are you motivated to make major diet changes like this? Are ready to teach your children to lead a healthy lifestyle with a balanced diet and increased activities? If you’re ready to make changes but don’t know where to begin, I have a 30 day virtual program that is perfect for the whole family! Click here for more info. Always be careful when accepting information from the internet as truth. Unfortunately, not everything on the internet is correct! Please check with your medical provider before making significant changes in your diet. 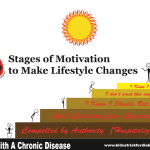 Making and maintaining lifestyle changes is very difficult. If you need a coach, find someone who will work with you. I’m happy to chat with you if you have questions. Schedule a discovery call with me.